Officials hope to have the westbound lanes of Interstate 84 re-opened by this weekend - weather and fire conditions permitting. 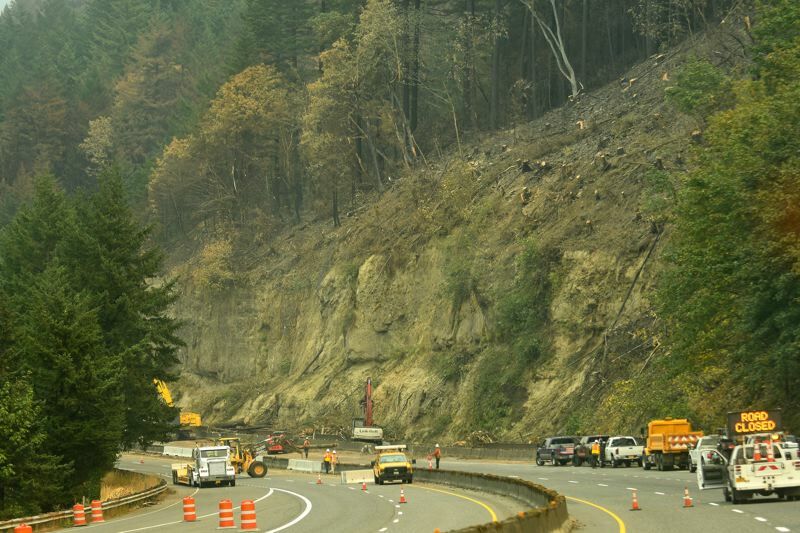 The Oregon Department of Transportation conducted another tour of the Columbia River Gorge Thursday to allow media to witness the ongoing cleanup of Interstate 84, which was left clogged with debris by the Eagle Creek Fire. Spokesman Ted Miller told assembled reporters that ODOT hopes to be able to open westbound lanes of traffic as early as this weekend, so long as ongoing fire activity and weather in the Gorge allow this to happen. Re-opening eastbound lanes, however, is going to prove a longer term proposition, Miller said, largely because that is where the bulk of the debris from the fire fell. For a look at the Interstate and cleanup efforts, check out the photo gallery below.